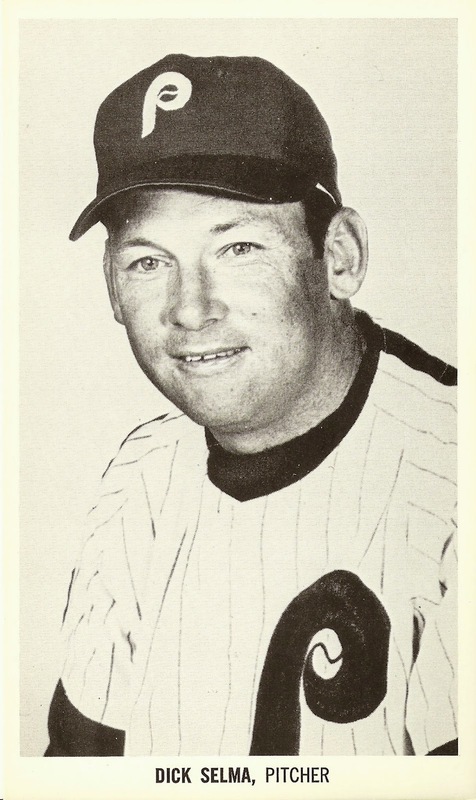 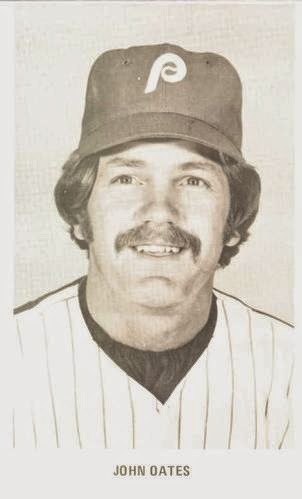 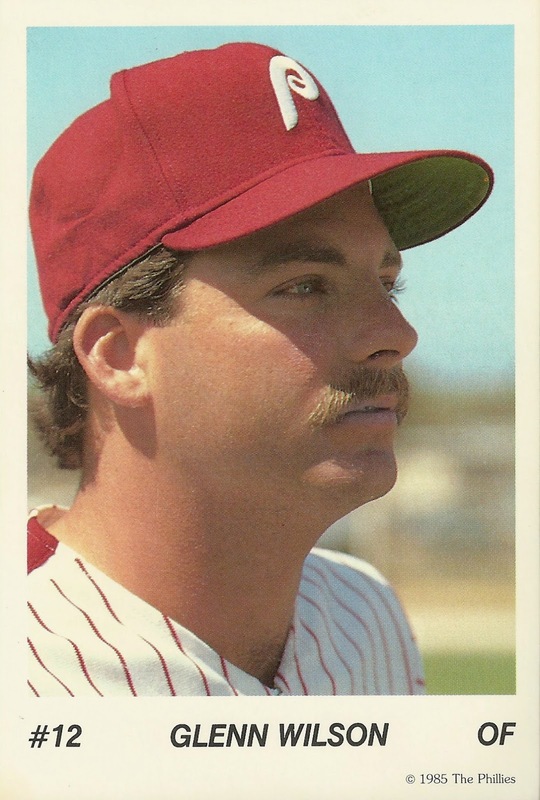 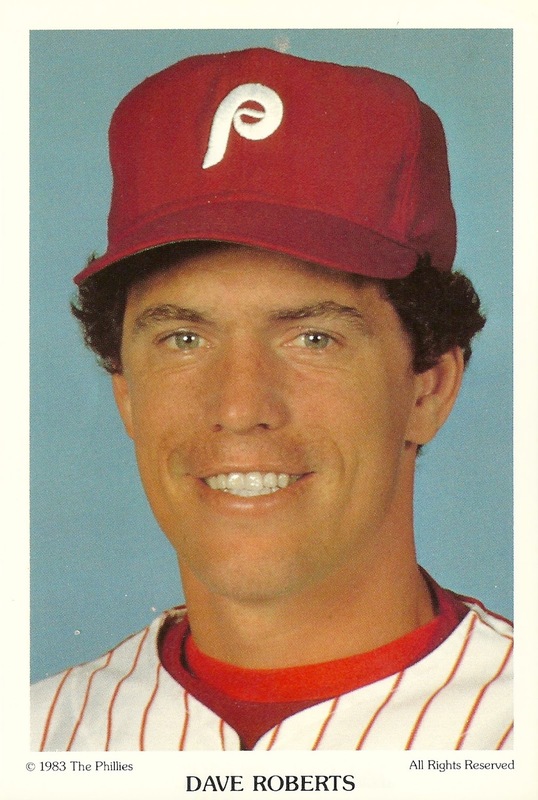 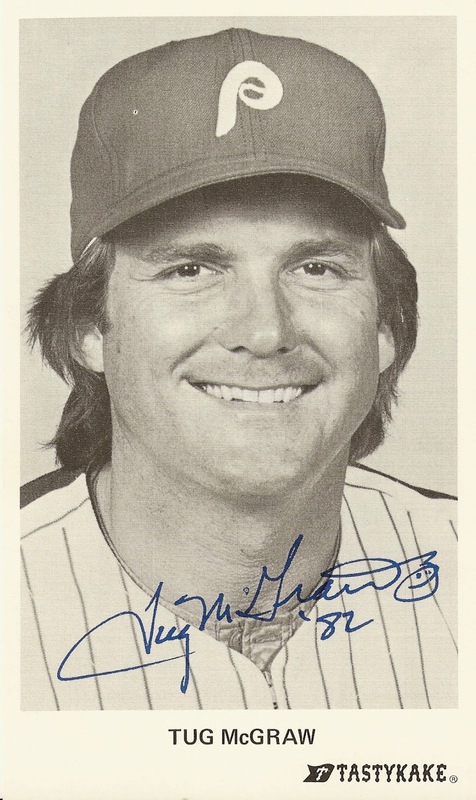 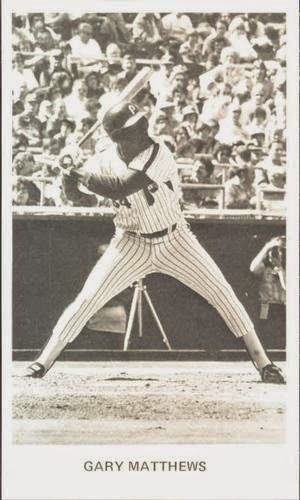 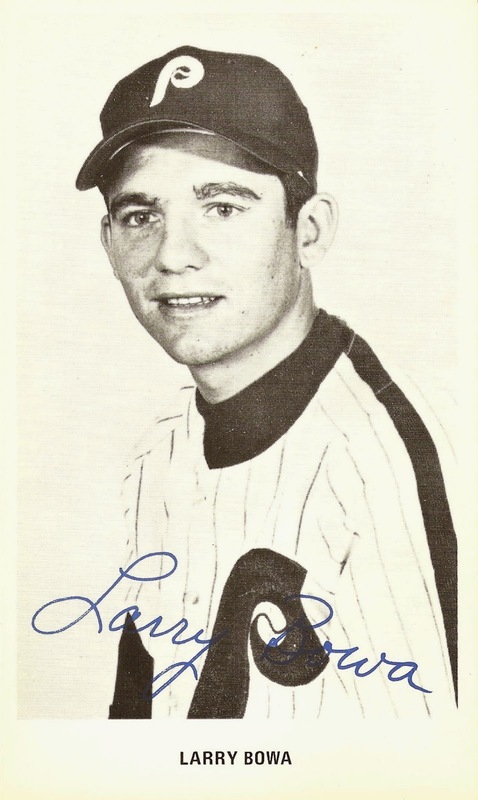 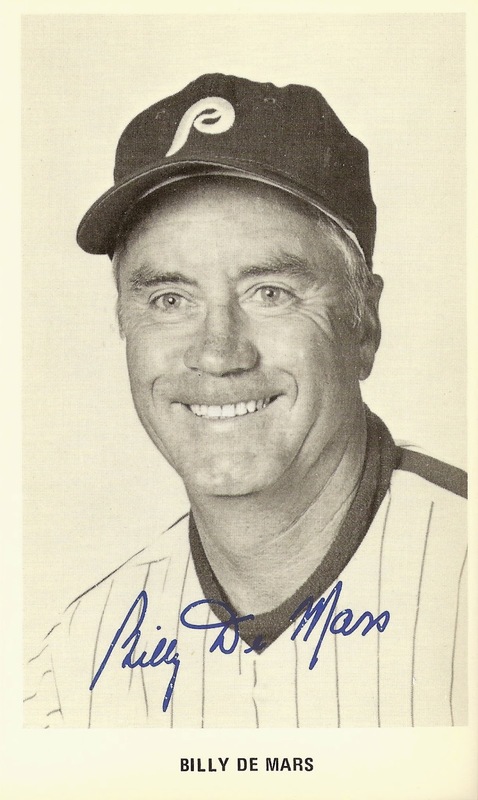 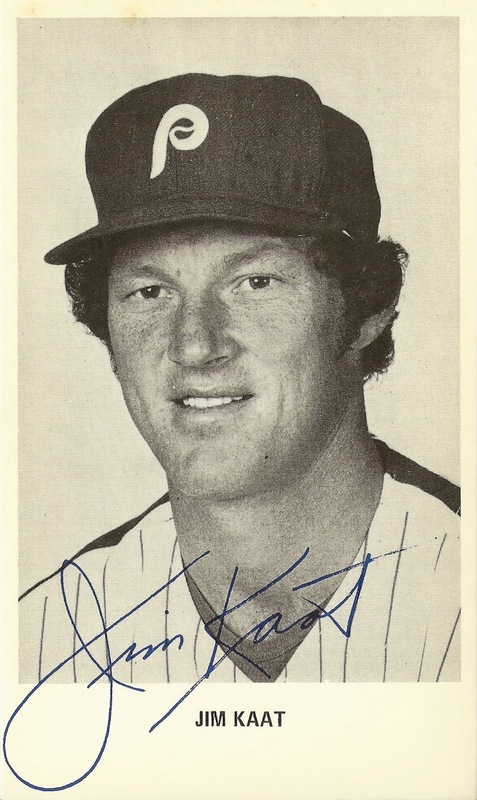 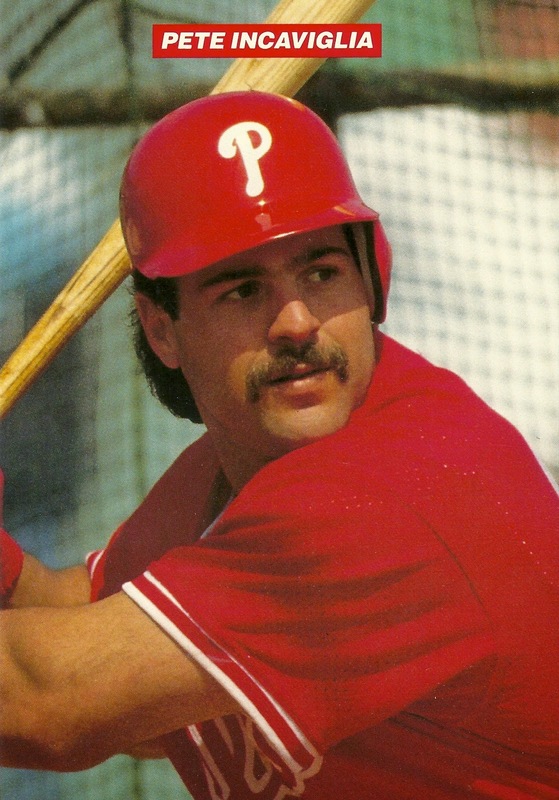 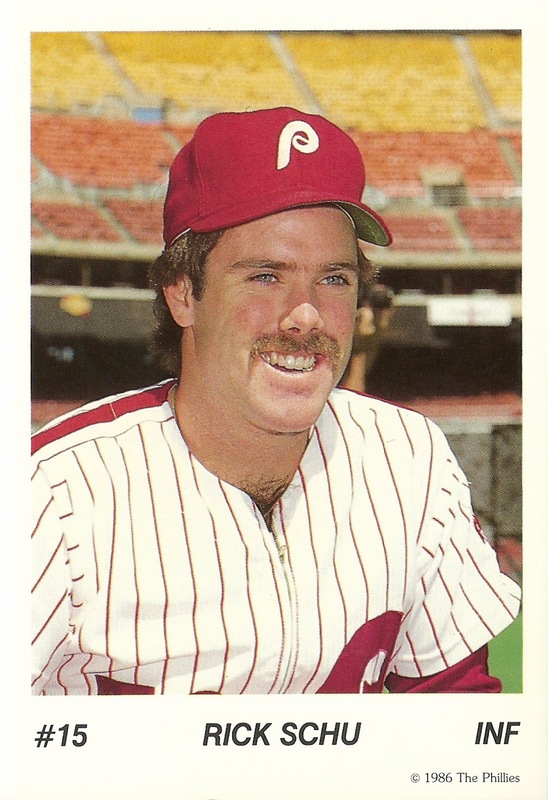 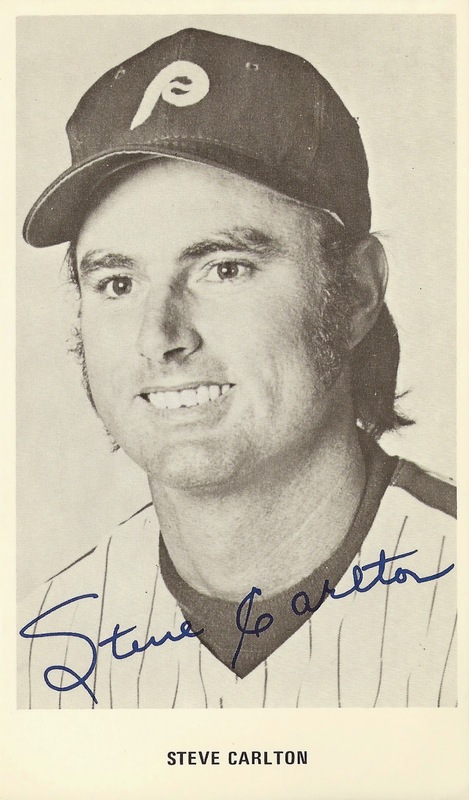 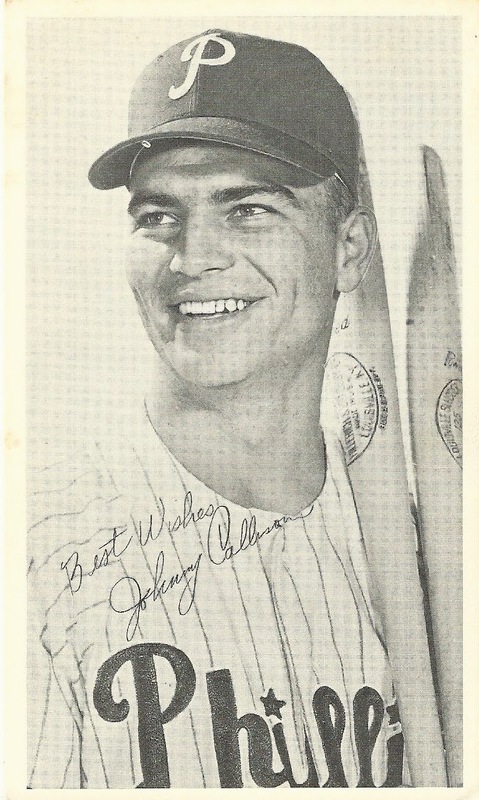 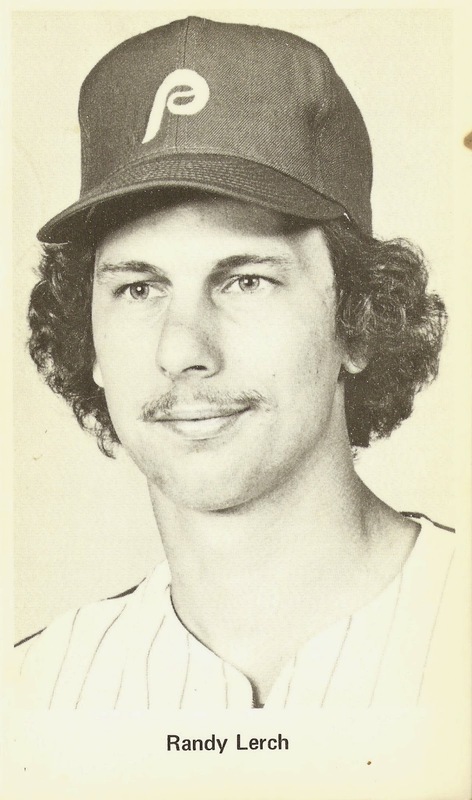 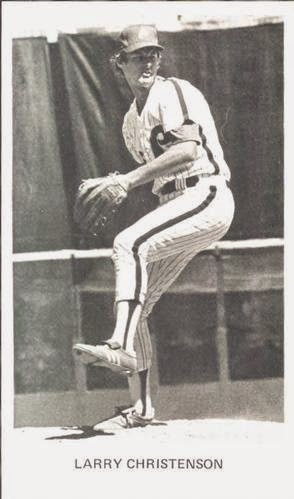 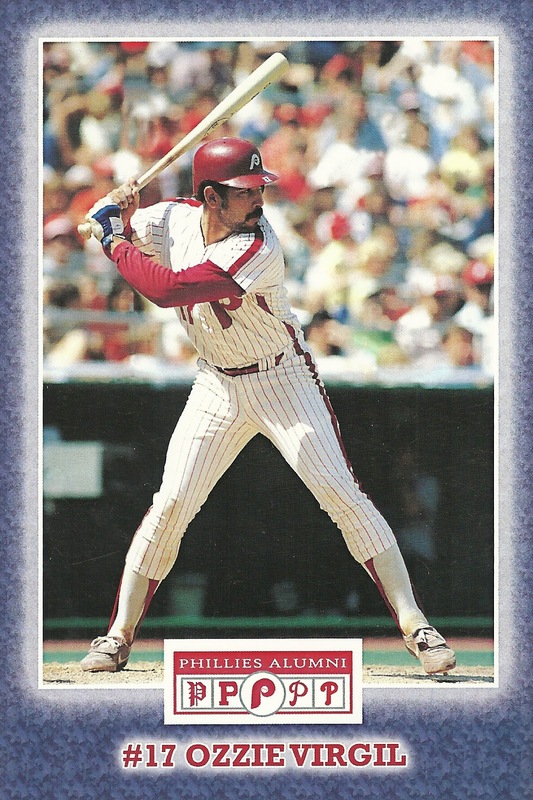 My goal is to present the most accurate and complete information possible on the baseball card sets issued by the Phillies over the past fifty-plus years. 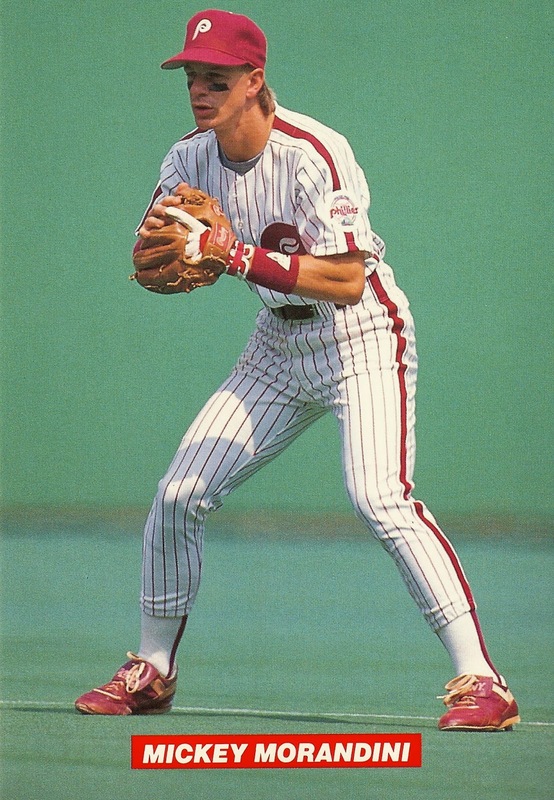 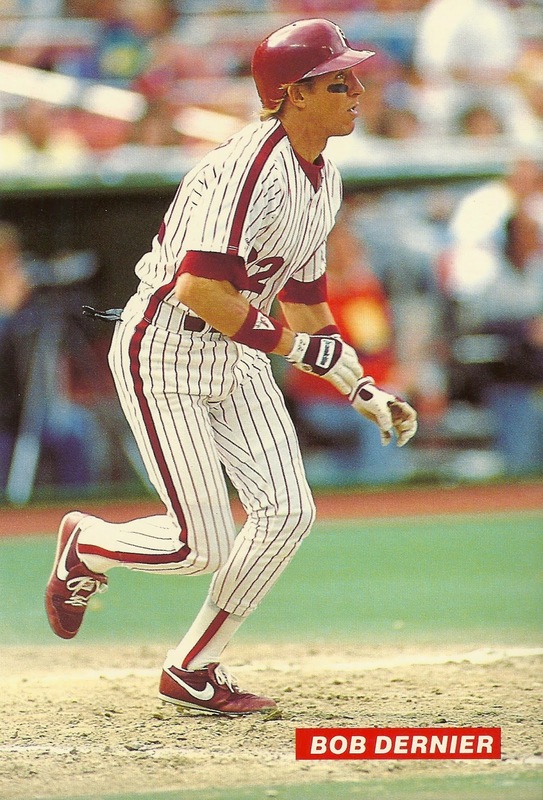 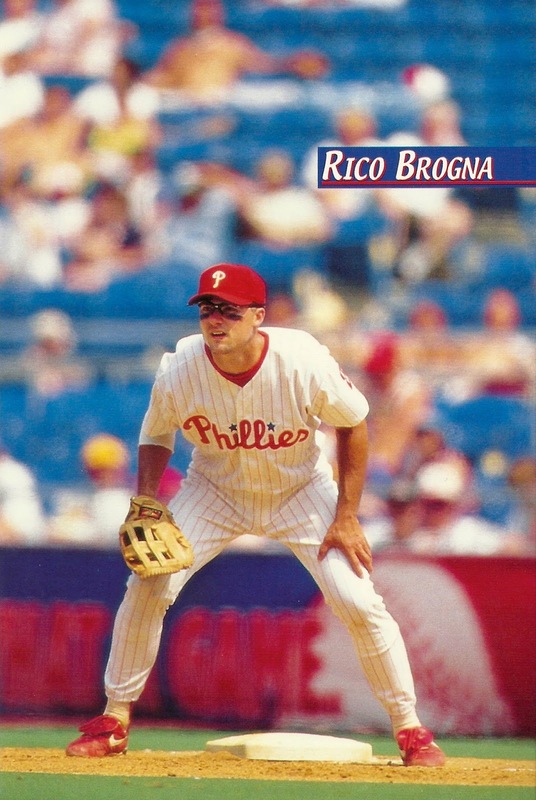 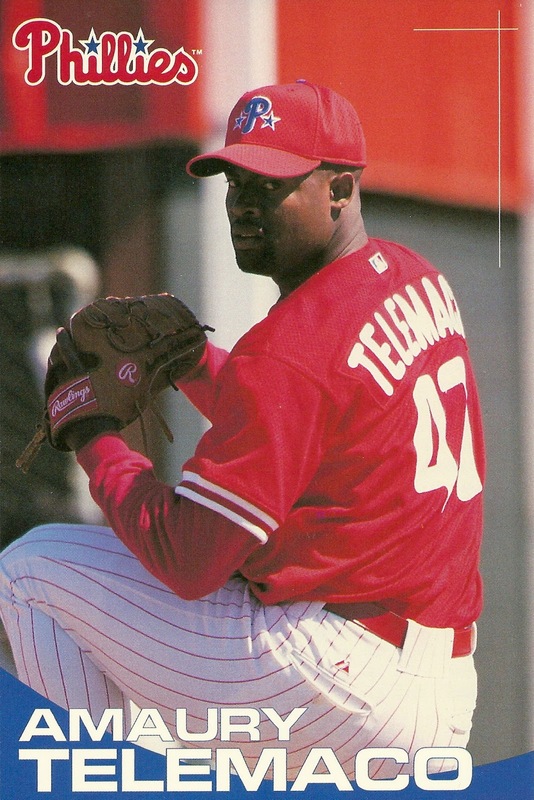 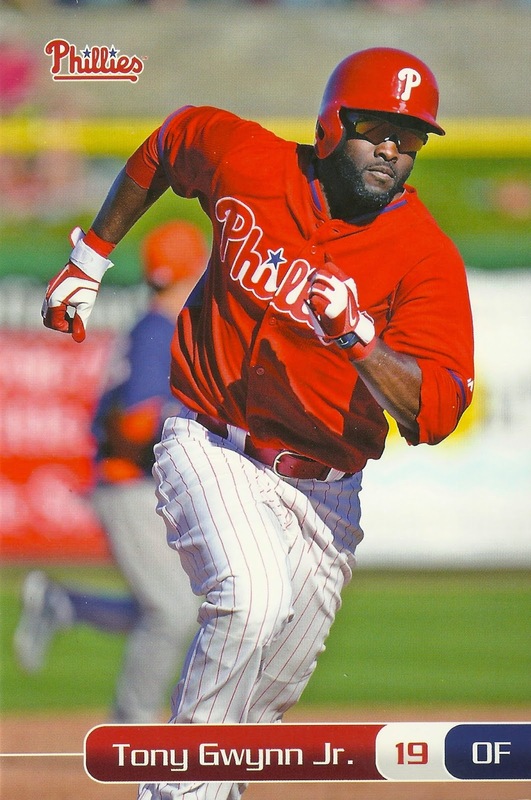 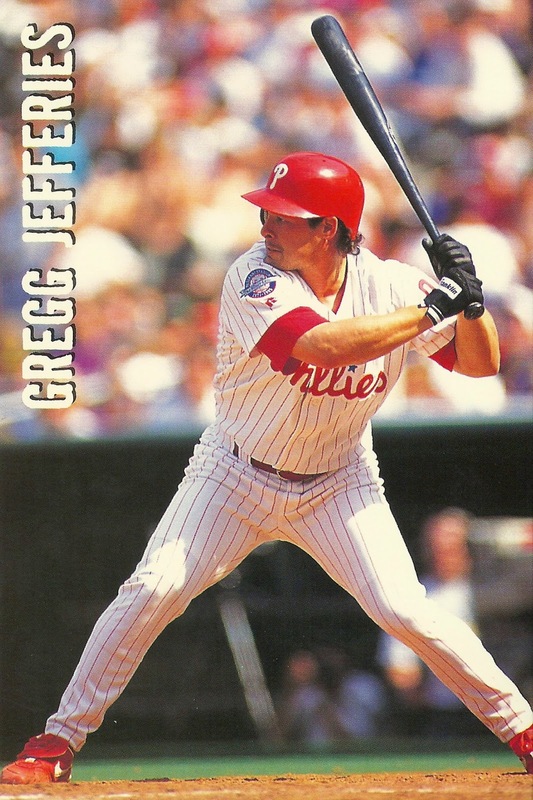 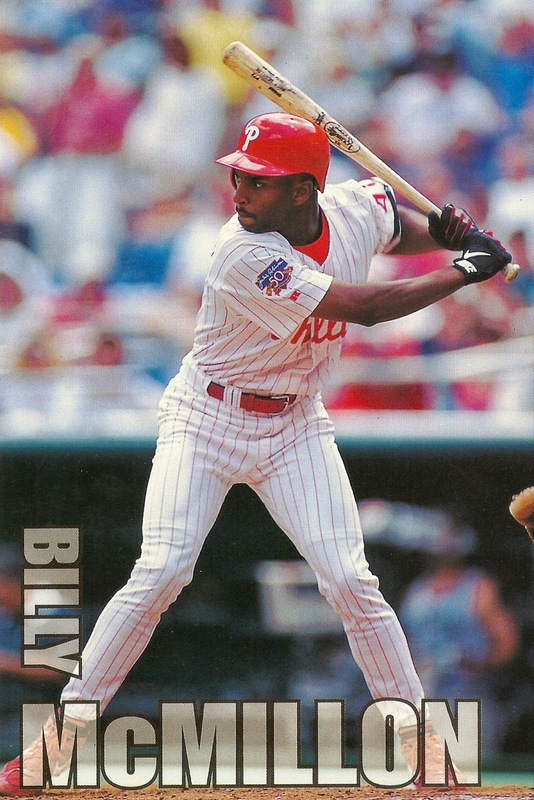 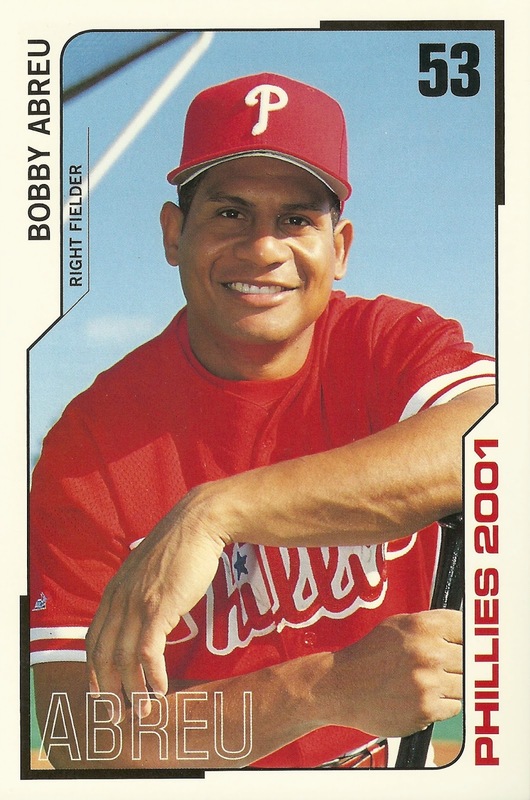 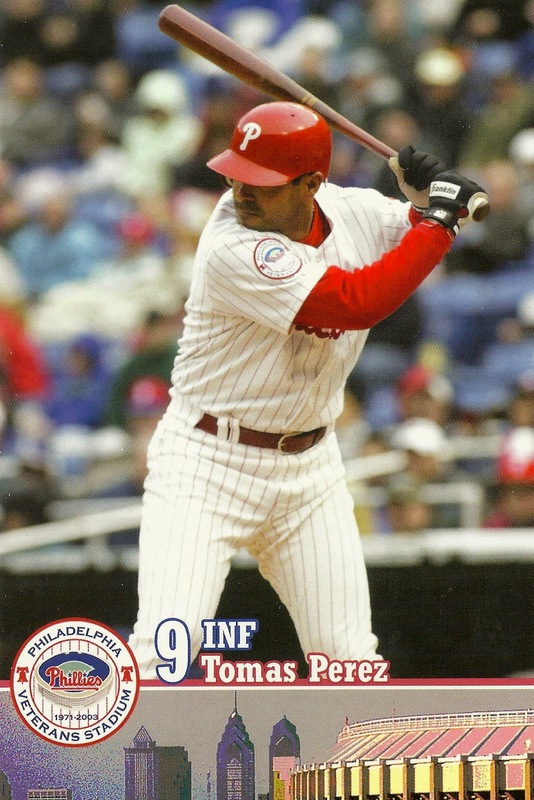 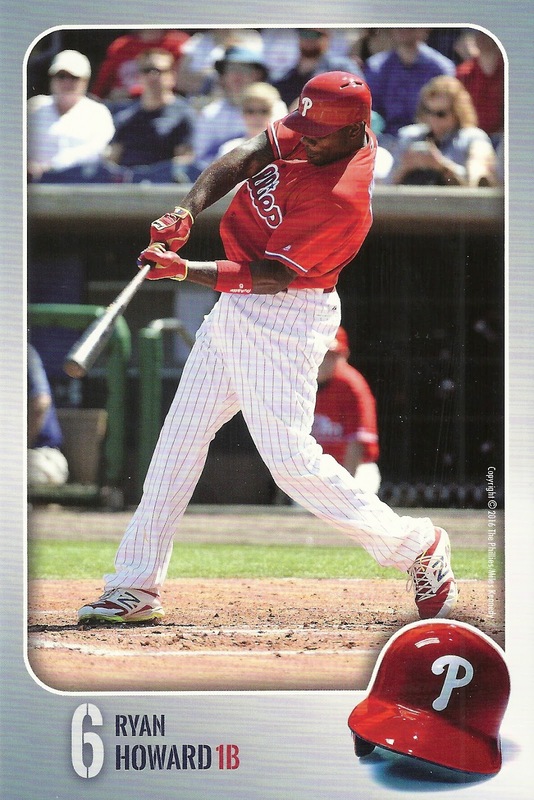 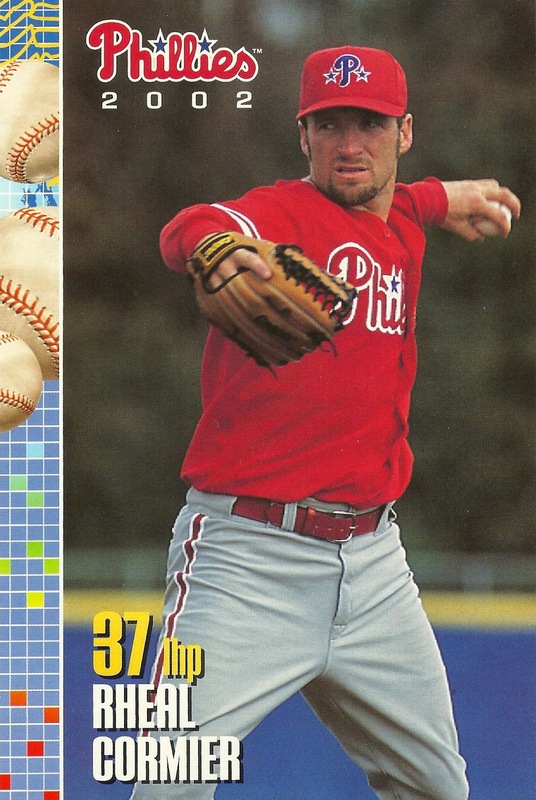 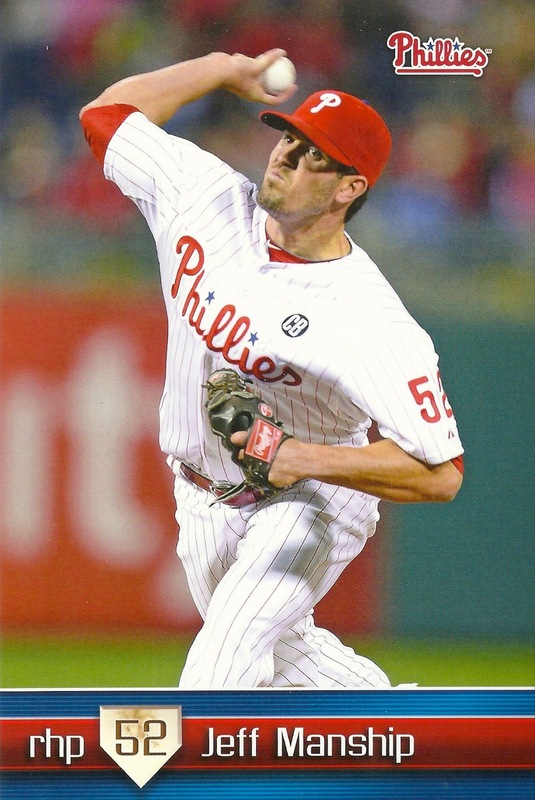 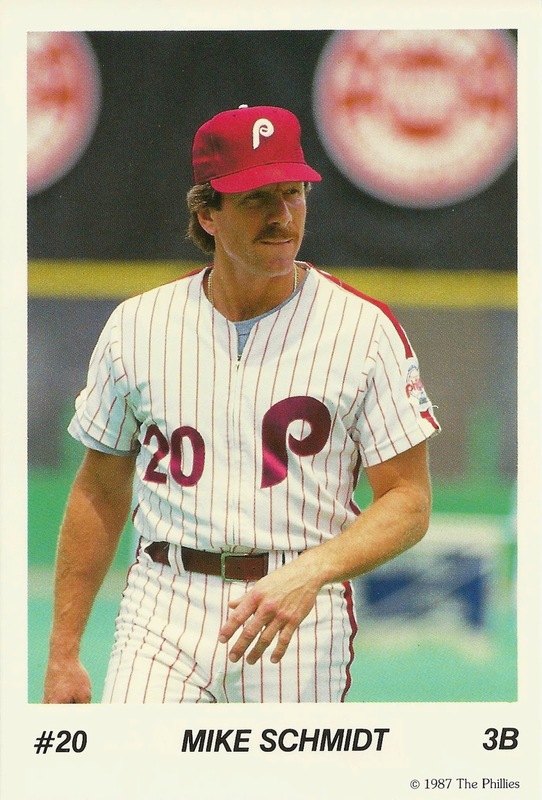 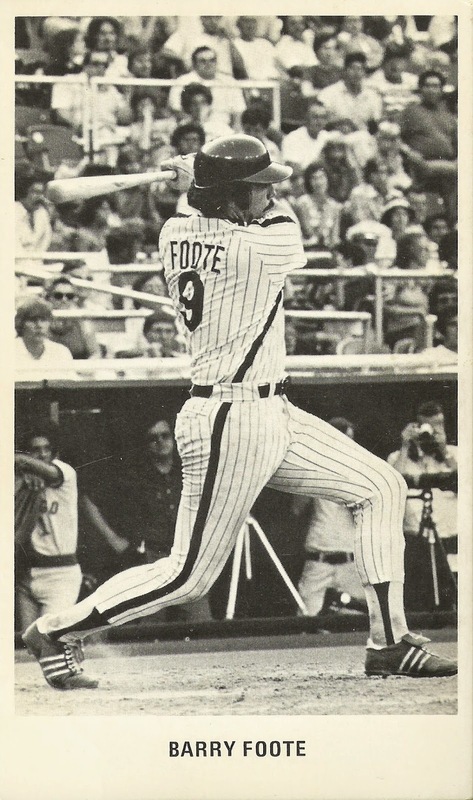 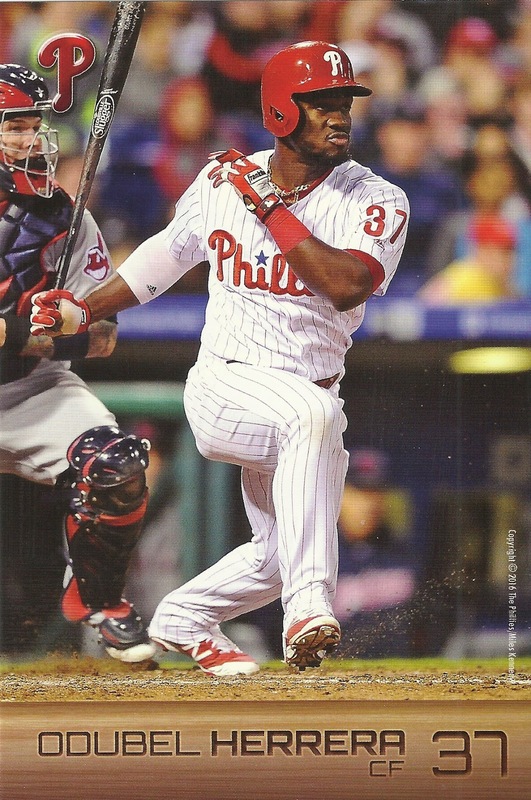 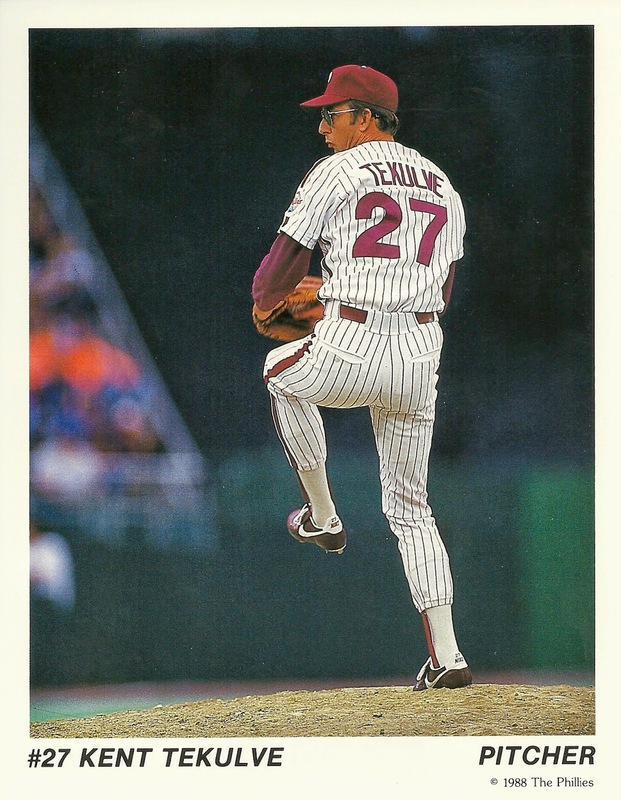 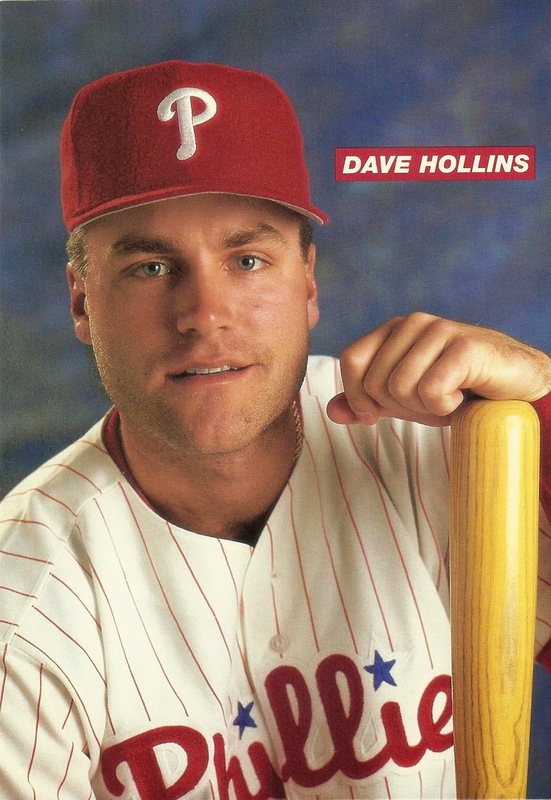 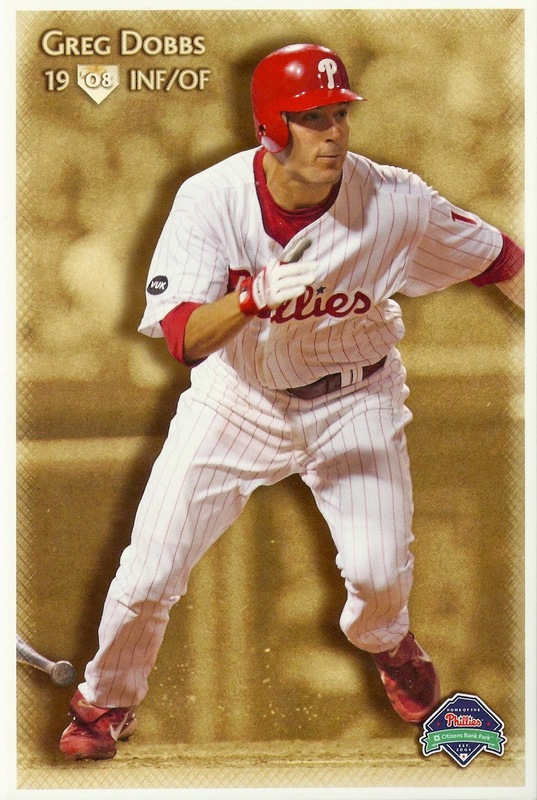 Please click on the years under the baseball cards below to learn more about each of the team issued Phillies sets through the years. 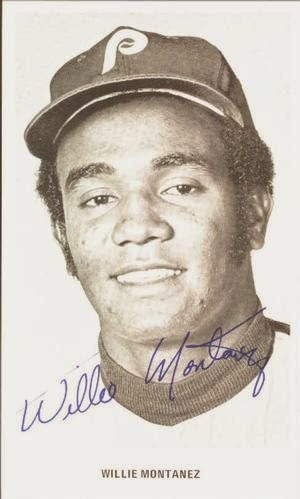 The "other" sets listed here are a working list in progress, and I'll link to the posts for these sets once they've been published. 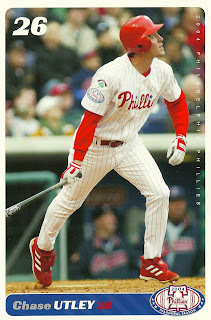 Please leave me a comment if there's a team issued set that I've omitted above. 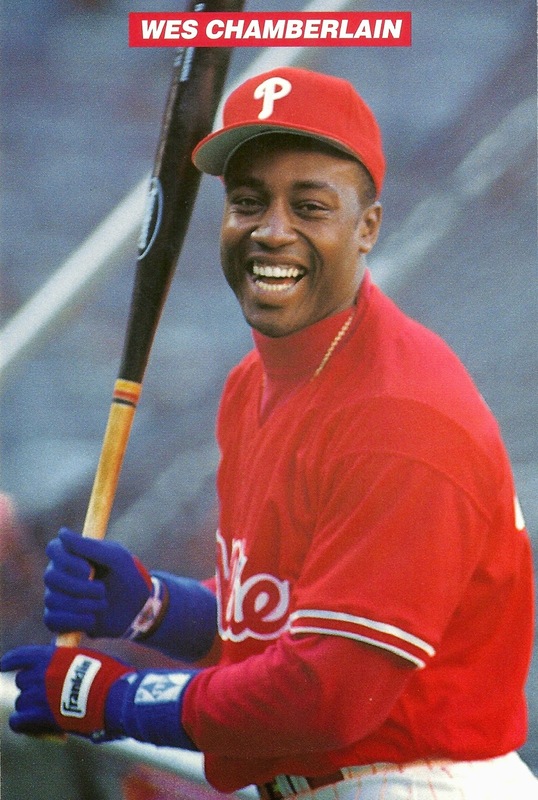 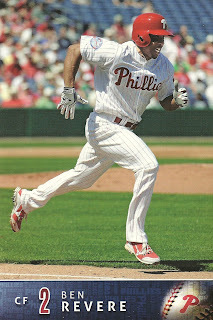 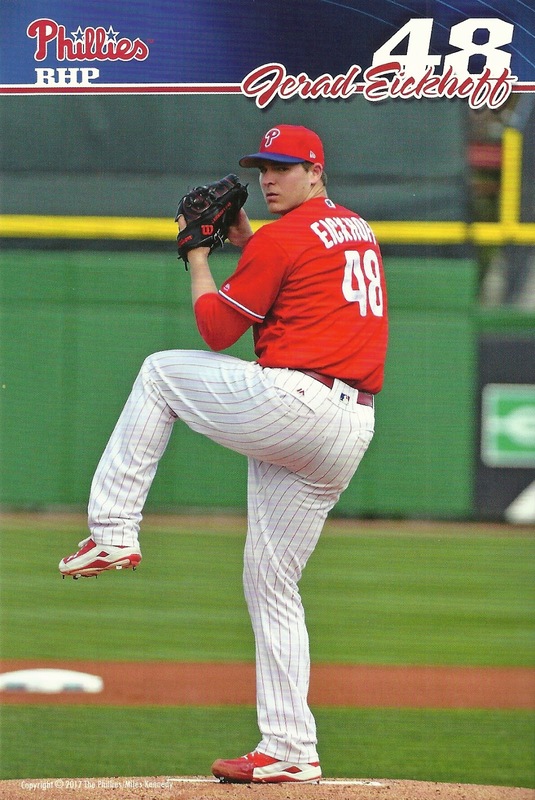 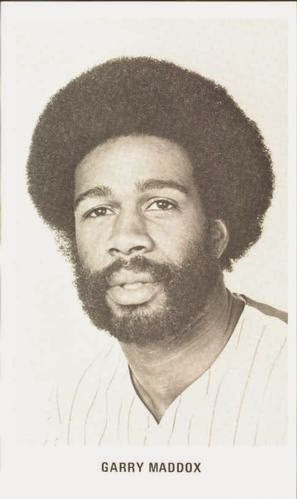 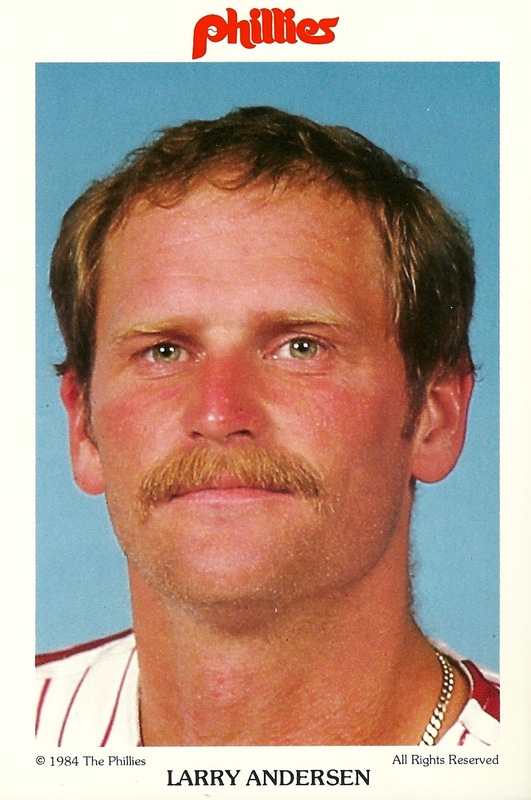 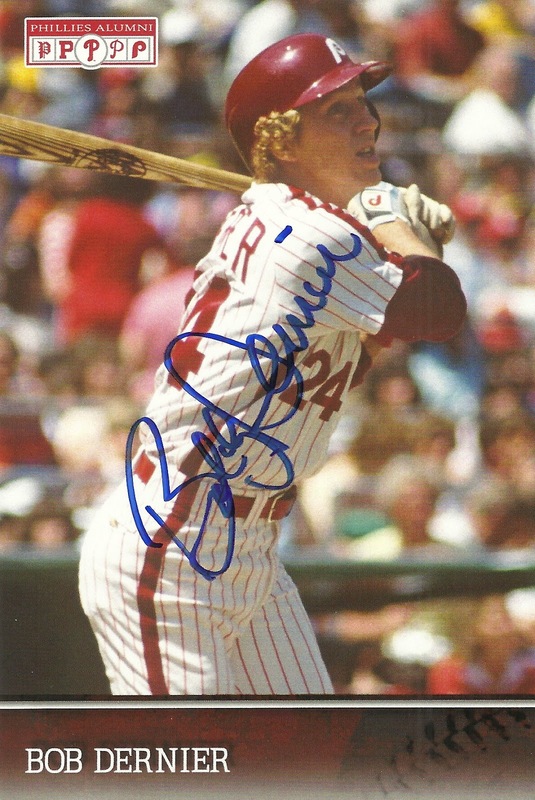 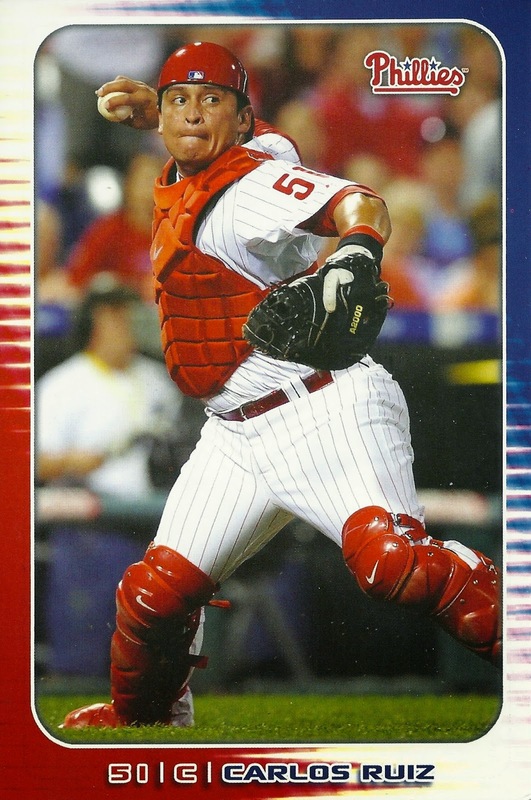 Do you know if the Phillies are releasing a series 2 of their stadium team postcard player sets? 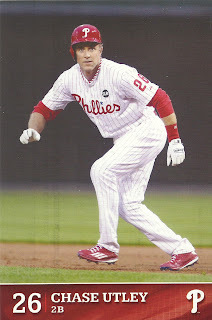 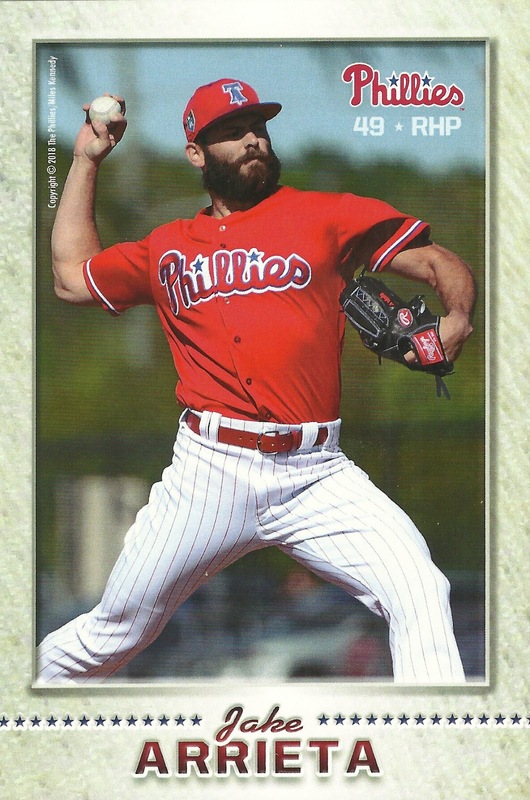 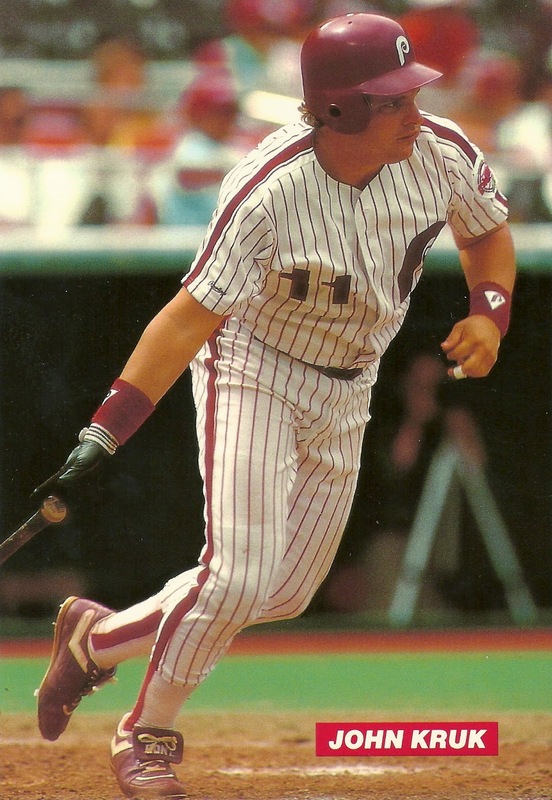 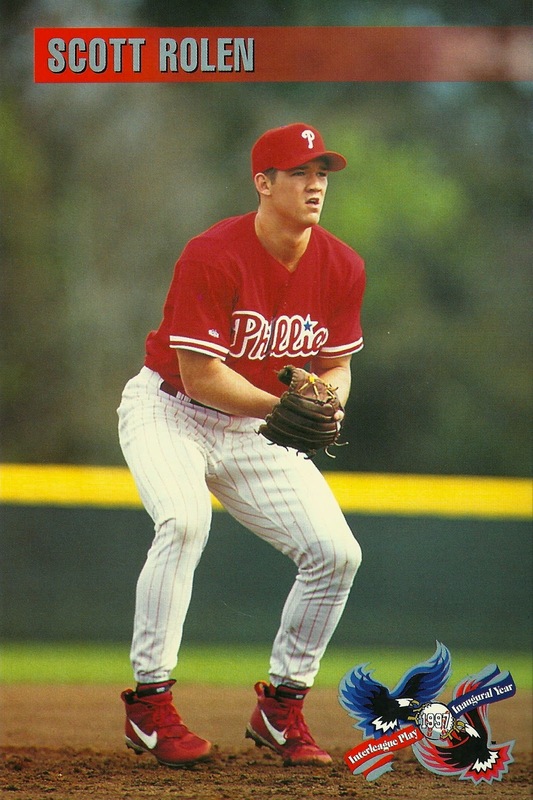 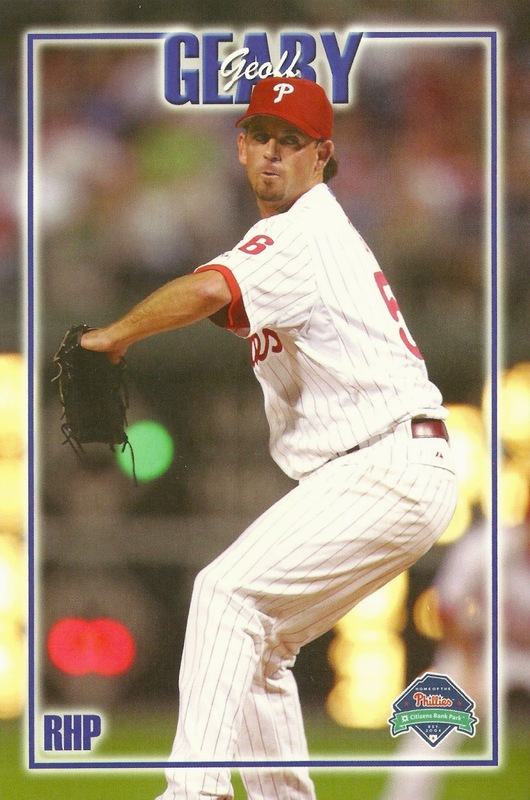 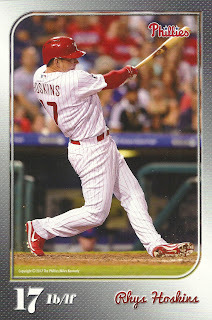 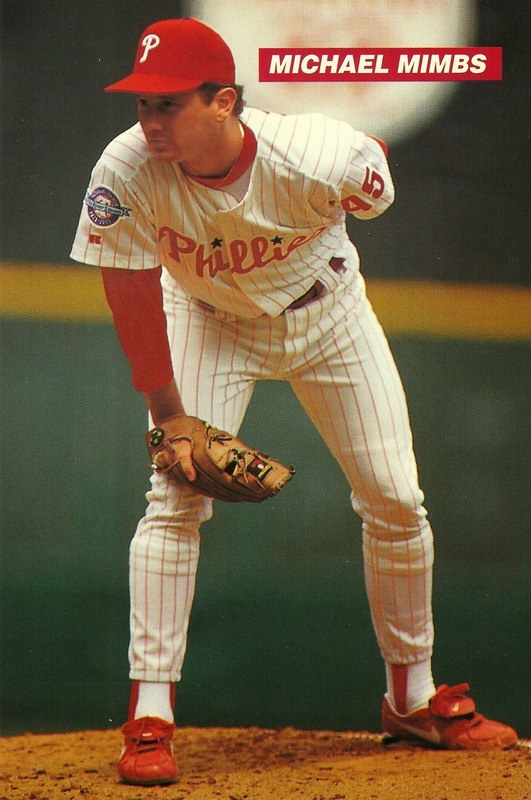 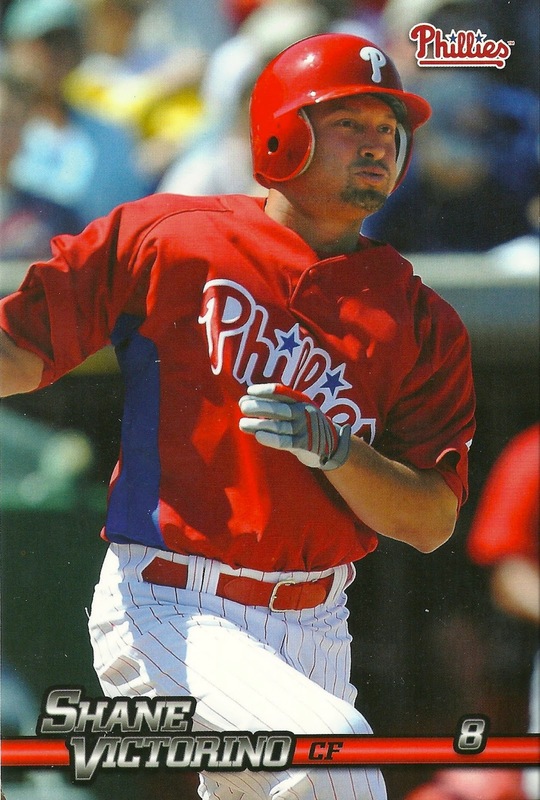 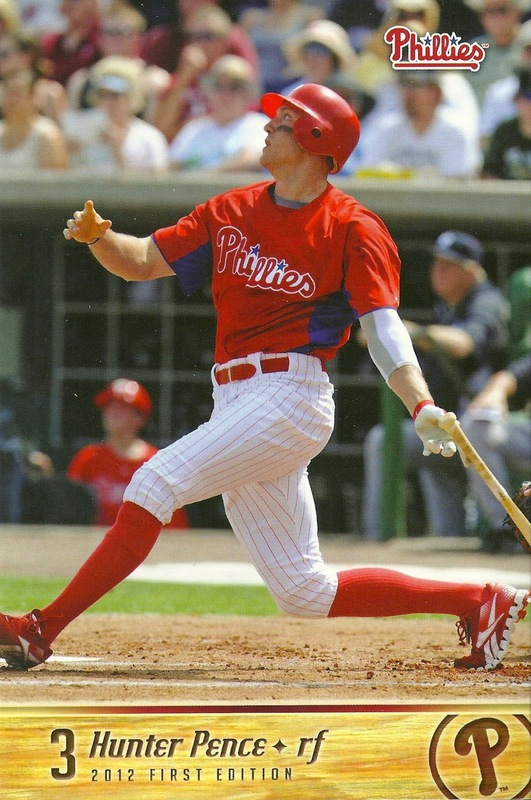 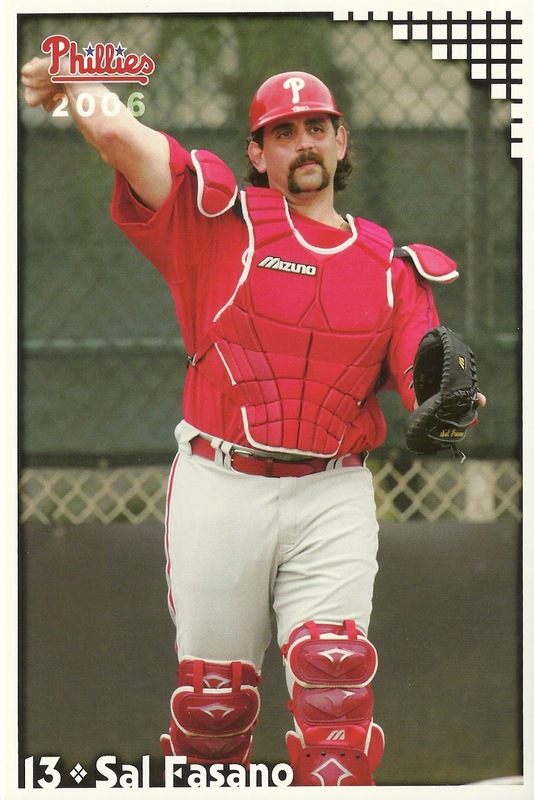 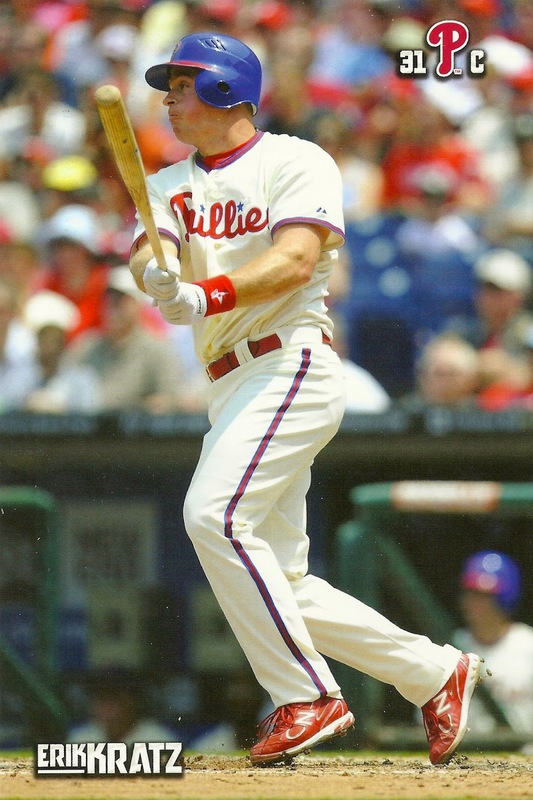 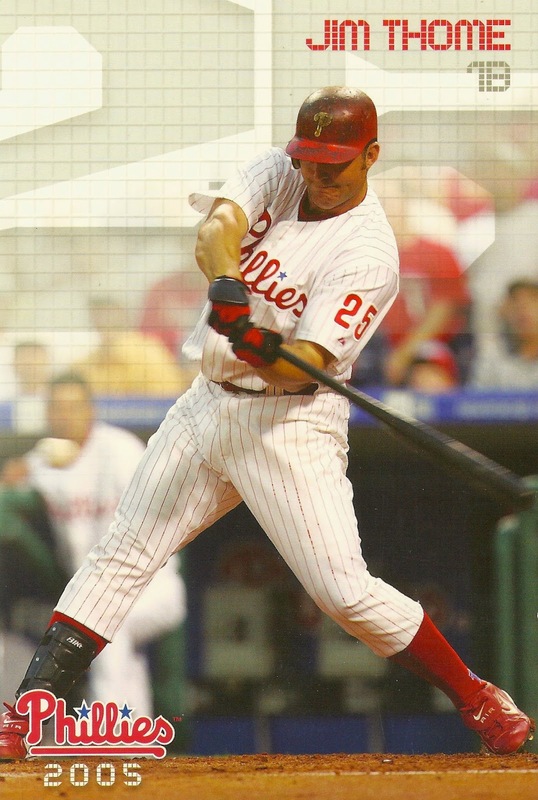 I'd like to get a card of Hyun-soo Kim in a Phillies uniform, and I'm thinking this might be the only one that gets released. 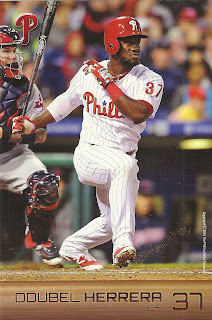 Let's hope so! 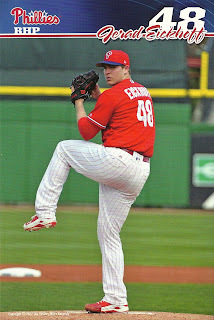 There are rumors that one could be coming, especially given the recent prospect call-ups. 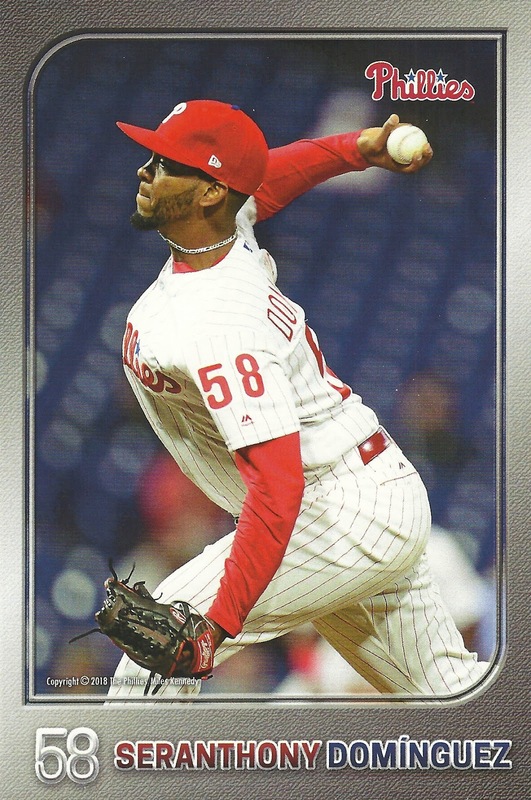 My guess is that if there is going to be one, it will be on sale at the ballpark starting Tuesday night when the Phillies return home. 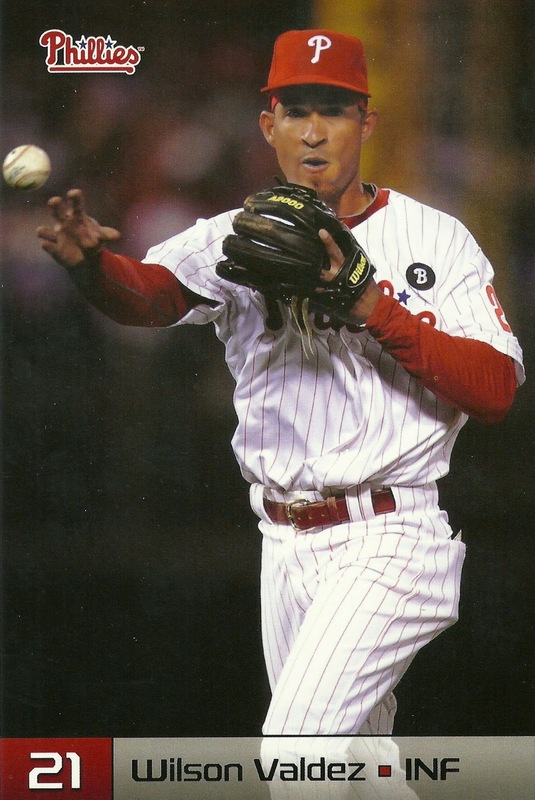 They have 16 games remaining at home. 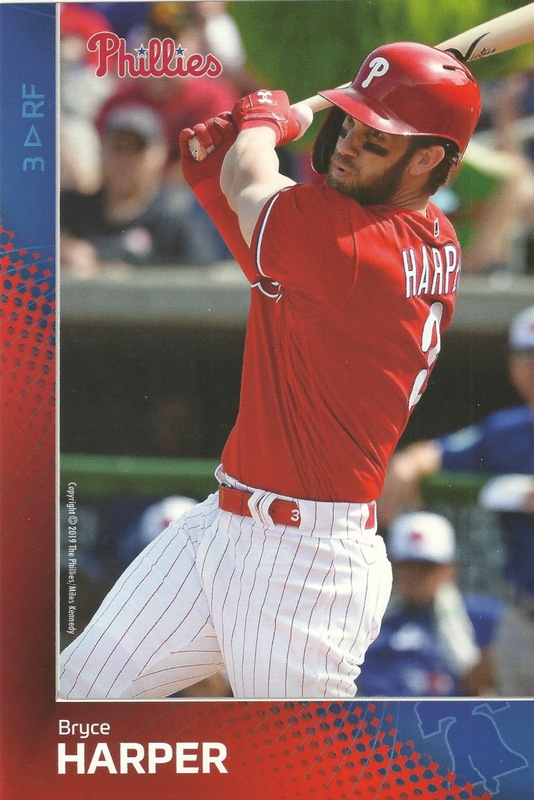 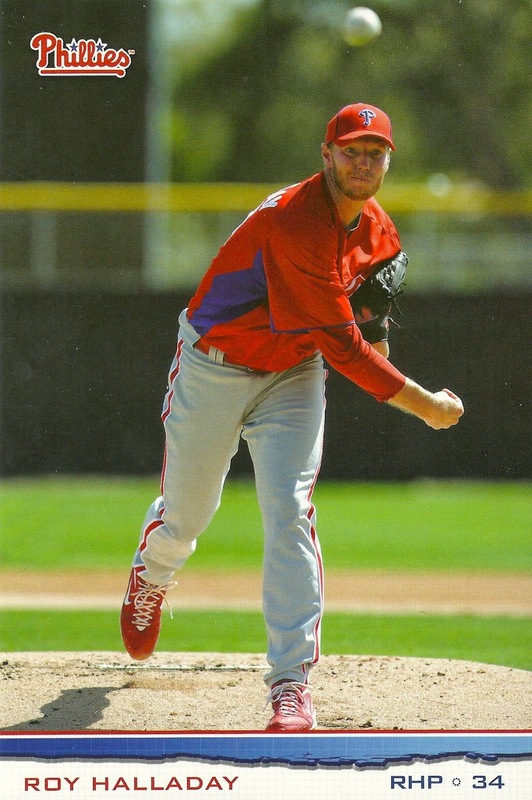 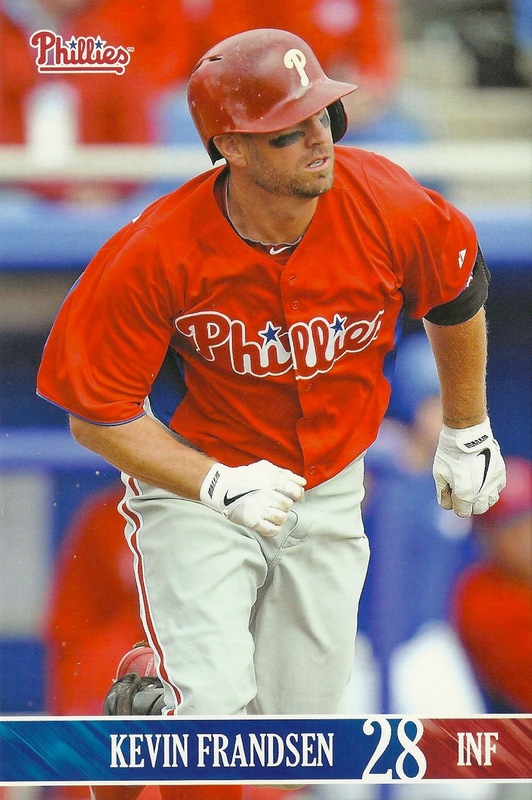 While not sets, there are a few one-off cards as well, like the insert postcard in the Hunter Pence bobblehead, a similar one in a 2001 Larry Bowa bobblehead, and the 2009 Jayson Werth Home Run Derby postcard that was a giveaway of some sort. 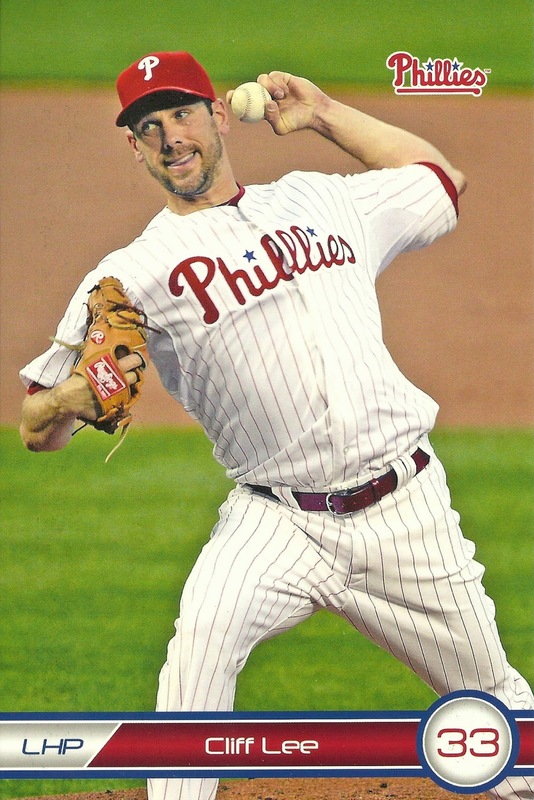 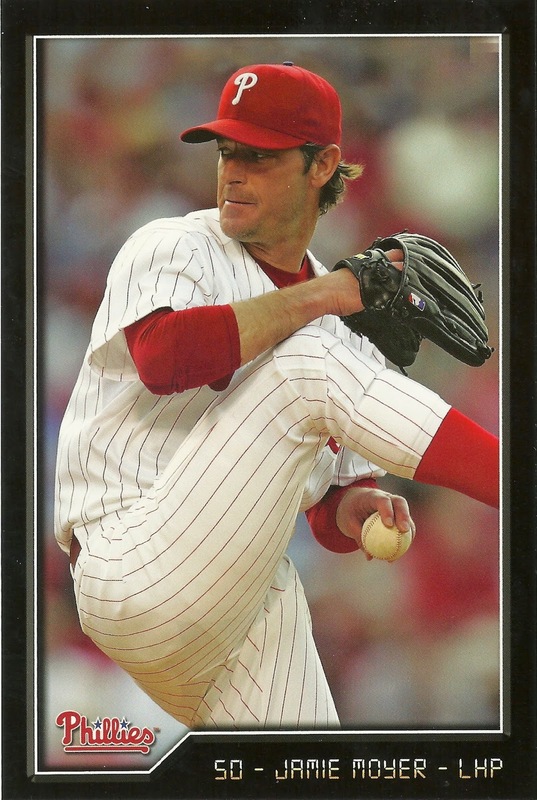 - occasional "other" prints like the ones to commemorate Harry Kalas's passing, Brad Lidge retiring as a Phillie, the 1976 throwback uni game, Pat Burrell's departure, separate HOF induction ones for Whitey, Schmidt, Lefty and Bunning, etc.